How to get the best deal out of your car trade-in in NZ? There comes a point in life when you may desire to sell your current vehicle. Actually, there can be countless reasons why you may want to do it. Oftentimes, the vehicle is in a good enough condition and the owner may want to replace it with a latest version. Whereas sometimes people may think of replacing their old cars with one that is better for their changing lifestyle. Maybe your family size has grown and you need a more spacious vehicle. Or maybe you like to travel a lot and you need a highly fuel efficient automobile. 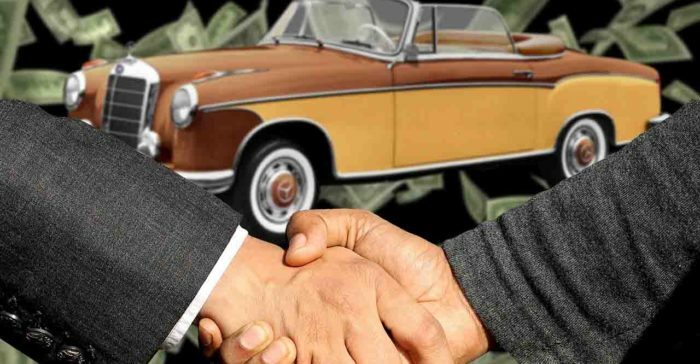 The trouble while selling a used vehicle is that it is hard to find a buyer who can pay the highest price. Simply put, if you really want to get the best deal for your vehicle it is better to do a trade in. This is an effective option to upgrade your old vehicle to a new one without spending much money. Here are some effective ways for getting the best price on trading in your car. Before you decide to contact used car dealer make sure to determine the fair value of your car. It is the most important step in order to trade-in your wheels for the best possible price. Auto experts recommend to get a car appraisal in order to effectively negotiate the trade in value. You can use innumerable websites to know how much your car is worth. There are many popular car valuation websites online. You can also ask a close friend or relative who have done this before. They may be able to share their experience and knowledge about how to find the fair price of used vehicles. Other than this, you can also seek help from cash for car services by using their online car valuation system. Just visit their website and give your vehicle details like make, model, year and condition. On this basis you can get a free appraisal from an experienced cash for car business. Every year we can see a fresh variety of automobiles at the dealership. They mostly refresh their stock at the end of each year. So, if you are thinking about trading in your used car, it’s best to do it at the end of the year. At that time your local dealers will be highly desperate to sell automobiles they already have in stock. You can take advantage of this desperation for your advantage. As they will be ready to pay a higher price to for trading in your automobile. When it comes to investing in any big ticket items like a house or a car. It is important to manage your finances and form an ideal budget. Before you start searching for a reliable car dealer make sure to set aside a fixed amount of money that you are ready to spend. If there is any unpaid debt on your automobile, you will have to manage it from your personal finances. Feel free to take help of a professional, if you have any trouble regarding this matter. It is very obvious that people are more willing to spend their money on a well-kept vehicle. So, if your vehicle’s condition is all messed up make sure to get it all cleaned up. You can use professional auto repair and detailing services for this. There is no harm in spending a few dollars in preparing your vehicle in order to make a good profit out of its trade in. It is easier to get a higher price for a superficially good looking automobile. However, don’t forget about cleaning it from the inside. Make sure to give it a good vacuum cleaning. Don’t forget to take out all of your personal items. If there are some major damages in your used car, you might be concerned about repairing them. But don’t worry there is no need to spend money on fixing it. Even if it is required to put your vehicle into a good running state, you can leave it on dealership. As the most professional auto dealership, make sure to inspect the vehicles for any major repairs. Their mechanics will fix those issues. However, the dealership will deduct the cost of repairs from the final trade in value. Finally, when your used car is ready for the trade in make sure to sort out all the associated paperwork. Beside its ownership paperwork you can also show the maintenance records to the dealership. If your maintenance records are well kept you can ask the dealer for a higher price.